I went into the Nuheara demo not knowing what to expect. Not in the sense of, “How good will these be?” so much as, “I’m not exactly sure what these things do.” Like, are they headphones? Are they hearing aids? The answer, interestingly enough, is a little bit of both. The IQbuds are, ostensibly, Bluetooth earbuds. That they’re completely wireless is enough to make them intriguing, but what really sets them apart is the noise cancelling they employ. It’s not simply the active or passive variety, it’s what the Perth-based company refers to as “intelligent hearing.” And it’s really pretty compelling. Nuheara has gone on a multi-city world tour to show off the technology. Understandably so. It really is one of those you don’t quite get it until you’ve tried it dealies, which makes attempting to explain it all here that much more difficult, but I’ll do my best. Actually, a little background might help. When the company’s SVP Dave Cannington stopped by our office for a demo earlier today, he explained that his fellow co-founder Justin Miller was previously the CEO of Sensear, a company that developed hearing assistance devices for factory workers designed to drown out industrial noise while amplifying their co-workers’ voices. Naturally, the next question was how to adapt that technology for consumers. 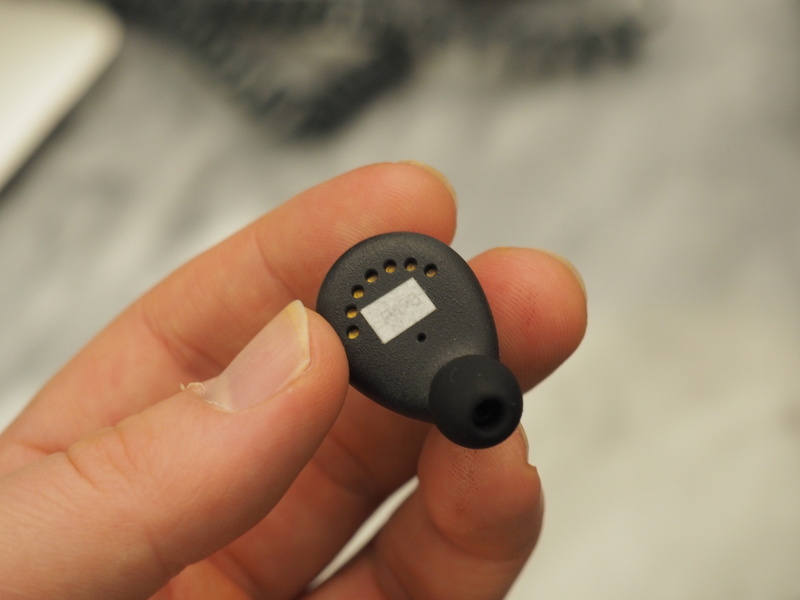 Rather than simply applying it to a commercial hearing aid, however, the company designed a sort of hybrid product with the IQbuds, a kind of half-headphone, half-hearing aid that lets users toggle between the functionality. For the time being, the product is still very much in demo mode, so I can’t really speak to the music playback. Cannington assures me that it will be “closer to Bose than Apple earbuds,” but I guess we’ll see in due time. The key part of the hardware was, thankfully, in place. There are still some kinks to work out, having taken it for a spin around the busy Manhattan block that hosts TC East, I can attest that it’s actually pretty cool. And there’s definitely some truth in the various demo videos the company has posted featuring excited people trying the technology for the first time. There are a few other kinks to iron out. If the earbuds aren’t fitted snugly, there’s a microphone-like feedback that’s a little unnerving. You also get a high-pitched squeal if you take the headphones out without turning them off first. Also, while they largely do a job blocking out non-voice registers, there are still some things that get through — most notably that high squeak of truck brakes you’ll frequently hear on the streets of New York, which actually gets amplified in the process. It’s not a great sound. So, not perfect, but promising. And certainly enough to make me want to give them a spin in their final form. Interested parties can pre-order the headphones now for $199. They’re set to start shipping in December.